With Cinco de Mayo right around the corner, I should be making something Mexican. But alas, I am not. Instead, I decided to go to the other side of the world! Chinese food has never been my favorite, but I haven’t had it in sooo long that I was actually craving it! 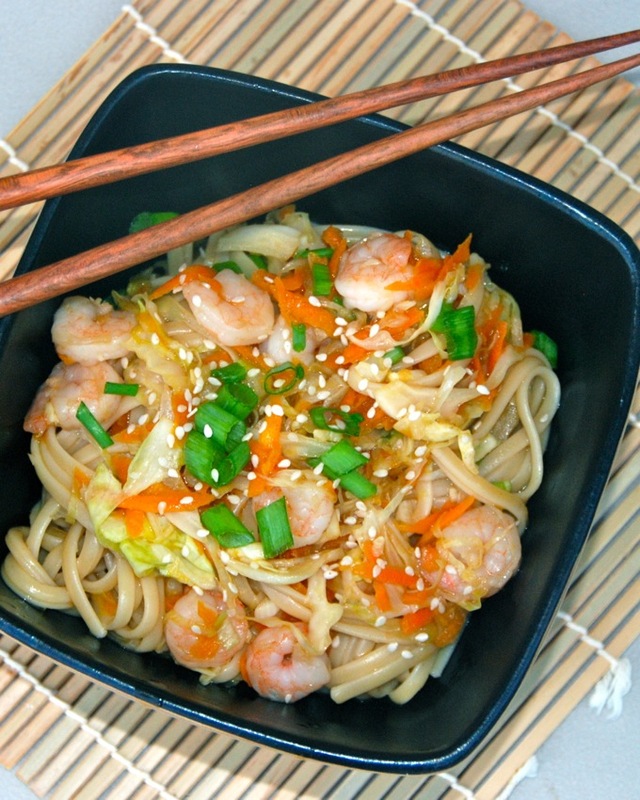 When I saw this recipe, using regular noodles (not the hard-to-find Asian kind), I had to try it. 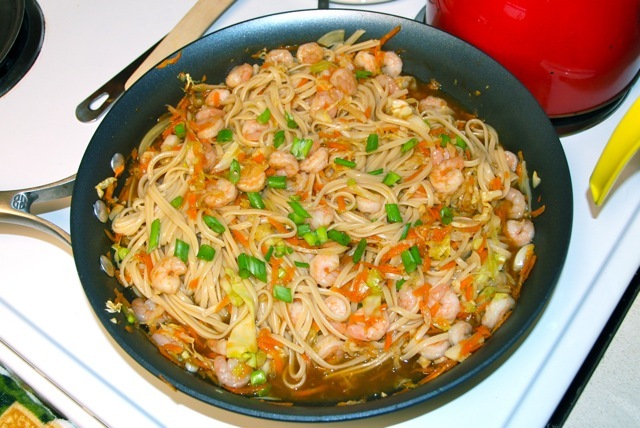 Heat sesame oil in a large skillet or saute pan over medium heat. Add red pepper flakes and cook 1 minute. 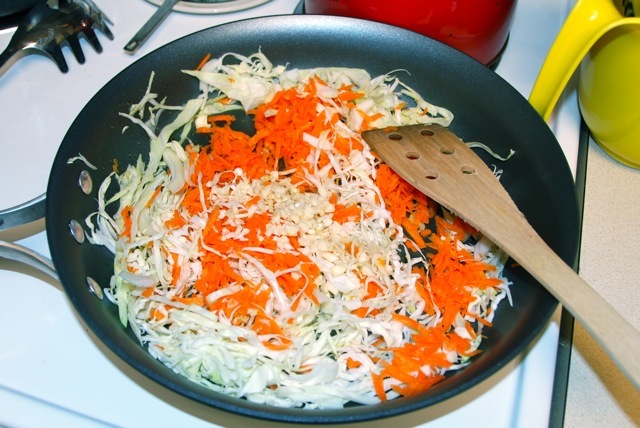 Add carrots, cabbage, garlic and ginger, and cook, stirring occasionally, until veggies begin to soften. Add soy sauce and cook another minute. Dissolve cornstarch in the chicken broth, and add the mixture to the pan. Cook until slightly thickened, about 5 minutes. 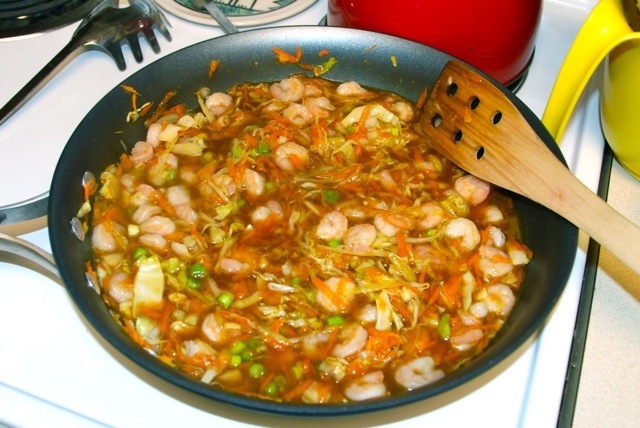 Add scallions and shrimp and continue cooking until everything is heated through. Add linguini and toss. 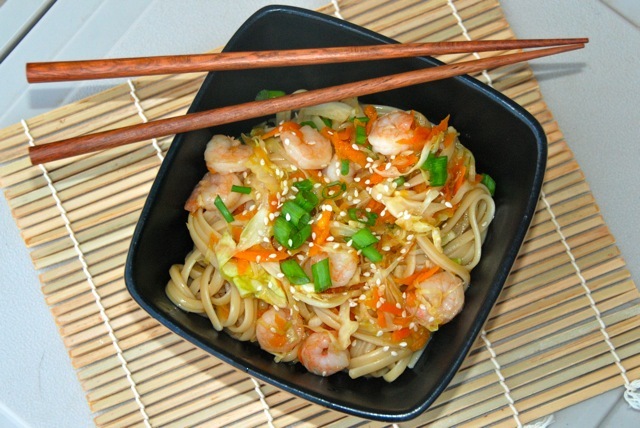 Serve topped with extra green onions or sesame seeds. The lo mein was good, but I’d definitely use the authentic noodles next time if I could find them. Asian noodles just have that yummy chew you can’t get from regular ones. But in a pinch, linguini worked! And in case you’re wondering… I switched to a fork after about 3 bites. Chopstickfail.